MARCEL ATEMAN OSU WR PUTS ON A SHOW DESPITE THE LOSS TO OKLAHOMA THIS WEEKEND!!! 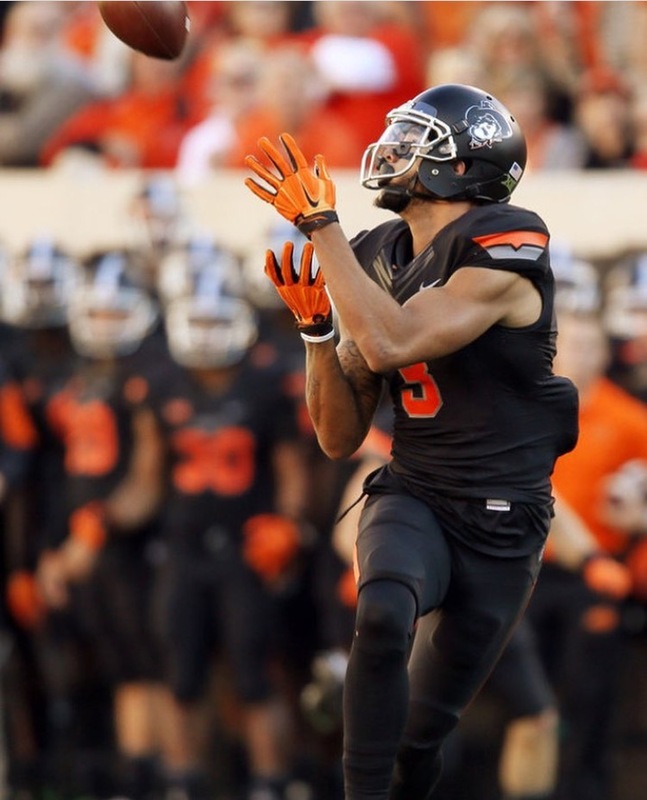 D-Rob Client Marcel Ateman Oklahoma St. WR had 6 catches 100 yds and 2 TDs vs. Oklahoma on Saturday! He is 6'4 220 lbs and showed great acceleration out of his cuts and showed he could sink his hips and go up and attack the 50/50 jump ball! It's safe to say his NFL DRAFT STOCK IS RISING!! !